In 1935, six-year-old Emily Evans vanishes from her family's vacation home on a remote Minnesota lake. 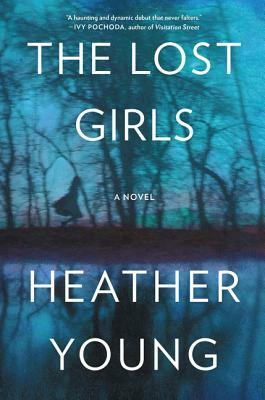 Her disappearance destroys the family--her father commits suicide, and her mother and two older sisters spend the rest of their lives at the lake house, keeping a decades-long vigil for the lost child. Sixty years later, Lucy, the quiet and watchful middle sister, lives in the lake house alone. Before her death, she writes the story of that devastating summer in a notebook that she leaves, along with the house, to the only person who might care: her grandniece, Justine. For Justine, the lake house offers freedom and stability--a way to escape her manipulative boyfriend and give her daughters the home she never had. But the long Minnesota winter is just beginning. The house is cold and dilapidated. The dark, silent lake is isolated and eerie. Her only neighbor is a strange old man who seems to know more about the summer of 1935 than he's telling. Soon Justine's troubled oldest daughter becomes obsessed with Emily's disappearance, her mother arrives to steal her inheritance, and the man she left launches a dangerous plan to get her back. In a house haunted by the sorrows of the women who came before her, Justine must overcome their tragic legacy if she hopes to save herself and her children.